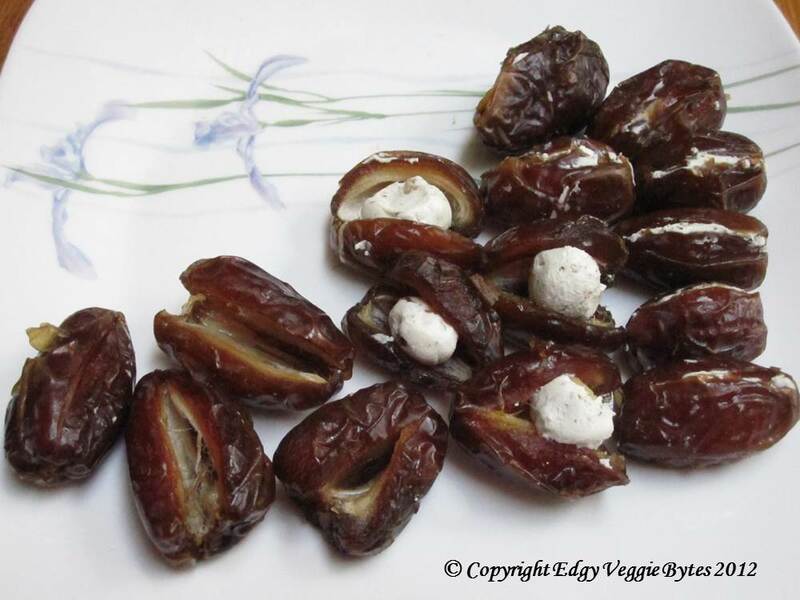 I had roasted dates stuffed with honey and cheese years ago and loved them (obviously, since I’m still thinking about them). Since I think dates are already sweet enough, I wanted to put make the cheese stuffing tangy/salty. The recipe below reflects that. We grilled last weekend, so it was the perfect time to try it out on people (aka guinea pigs)! I didn’t have any, but it sounded like people liked it- nice and warm and gooey! 1. Carefully split the dates on one side lengthwise so that you can gently remove the seeds (it should come out easily). 2. In a small bowl, mix the goat cheese, salt, black pepper, and walnuts. 3. Form a ball with a small amount of the cheese mix (~1 tsp, depending on the size of the date). Place it in the middle of the date and squish it in as you close the top. No cheese should show.